Jade Financial Group is a financial planning and insurance services group in Ipswich, Queensland. Traditionally the financial services sector is seen as conservative and reactive, so when Dianne Charman bought an established financial planning practice she wanted to bring her own special touch to the business. She renamed it Jade Financial Group. Brilliant Branding’s brief was to develop a contemporary identity that gave Jade a platform to present a fresh approach – ‘life is meant to be lived, not just planned’. 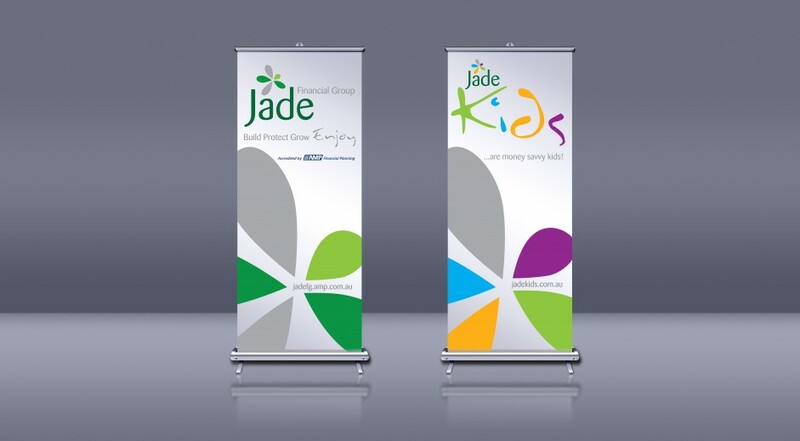 The identity had to flexible for future expansion into financial sub-brands under the Jade master brand. It had to be different! Catching the passion of the new owners, this new identity needed to be fresh, fun, vibrant and appropriate. A Chinese traditional symbol of prosperity, the jade plant, provided a strong iconic base – providing a rich resource of green, curves and shapes. The master Jade brand and the Jade Kid’s brand (program for schools) were developed. 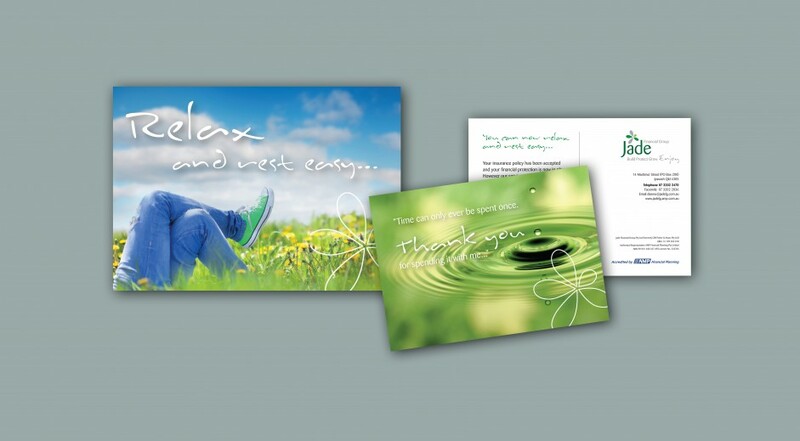 The outworking carried through to stationery, promotional and marketing collateral, signage and banners. The client loves the outcome! The re-branded visual identity for Jade has delivered its intention and has become an inspiring springboard for the firm’s sales and marketing campaigns.